Engineering Services Rochester, NY │ Electronics Packaging – Mechanical Design │ SCJ Associates, Inc.
SCJ can provide a wide range of engineering and design services. 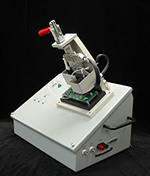 With electrical engineers, mechanical engineers, and designers on staff, we can handle all of your electronics packaging needs; from sophisticated test set systems to customized containers to ship them in. Whether it be a common or niche application, a complete turnkey project or just a piece of the puzzle, our engineering experience and resources can help get the job done. We have an in-house machine shop for quick-turn metal fabrication and resources to generate and deliver a complete CAD documentation package. We maintain an archive of all designs we create, and maintain revision control of all drawings as required. We can provide you with PDF documents and other formatted files that can be inserted into Microsoft Word© and Microsoft PowerPoint© documents for enhancing your product manuals and presentations. Design activities include considerations for overlay and screen printing details, power distribution, cable routing, cooling, users access, etc. We have provided circuit design services to support development of test systems, production control equipment and customer products. 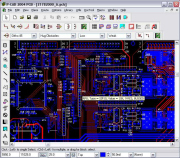 SCJ can provide printed circuit board design layout services of any complexity using the latest in CAE/CAD software tools. Whether managing it internally or working with one of our valued resource partners we can take your design from schematic capture to assembled prototype, or anywhere in between. Partner with SCJ during the early designing or engineering phase of your next product in order to facilitate the manufacturing process. By getting us involved early you can reduce manufacturing costs and improve both quality yields and time to market. DFM will allow potential problems to be fixed in the design phase, which is the least expensive place to address them. Consider our diverse group an extension of your design team.